Recently while preparing a grant application for one of our clients I came across useful websites for manufacturers who regularly look for equipment or sell it. So, if you are on of them, take a look at these websites. www.apexauctions.com . It’s an online machine tool auctioneer. According to the information on its website, Apex holds over 150 auctions per year of surplus CNC and manual machine tools from engineering companies in the US, UK and Europe. www.premierequipment.com It’s an used CNC seller. 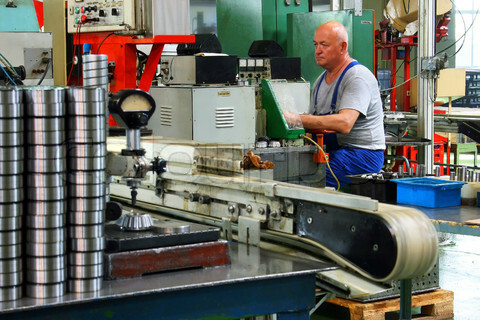 According to the information on its website, its inventory includes the largest listing of used CNC lathes, milling machines, horizontal mills, CNC verticals, and much more. http://smsmachine.com/ It’s a machine distributor, who provides cutting edge machine tools with customized applications. This includes installation, in-depth training seminars, application checkups, financing and large inventory of parts. www.machinetools.com According to the information on its website, it’s a 226,000+ model research database. I advertise nothing, just share information that can be useful for manufacturers. If you know other good sources that could help manufacturers in Canada, feel free to write them in the Comments. Thank you. In April 2014 we expect the Smart Program to be open. In particular, this non-repayable grant covers purchase of machinery. Feel free to contact us to discuss the details of getting money for your projects. Also, there are other available grants for your business right now, for instance, for hiring new employees. Feel free to contact us to discuss these available grants for your business.